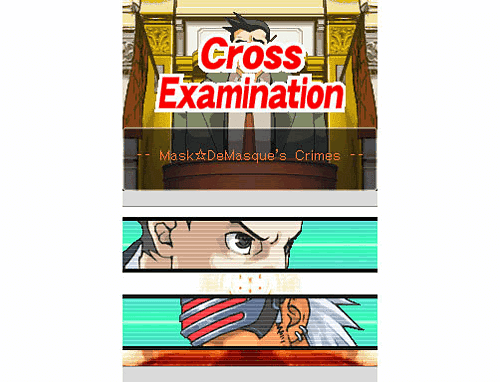 Phoenix Wright: Ace Attorney - Trials and Tribulations. The defining battle for justice is about to begin as animated characters and cliffhanger storylines come to life in a courtroom where anything can happen. In Phoenix Wright: Ace Attorney - Trials and Tribulations The complete story of Phoenix Wright comes together as players explore both the past and present of the idiosyncratic lawyer. 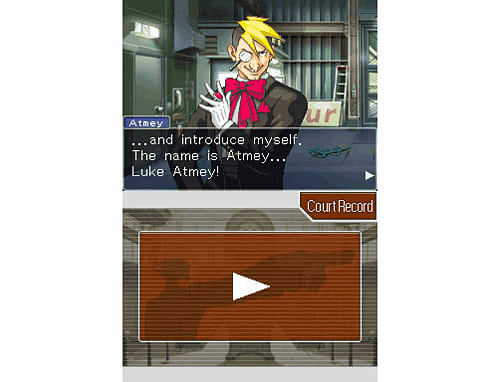 Players star in Phoenix Wright: Ace Attorney - Trials and Tribulations as the titular defense attorney, who must prove a seemingly guilty client’s innocence no matter how dire the circumstances may seem. 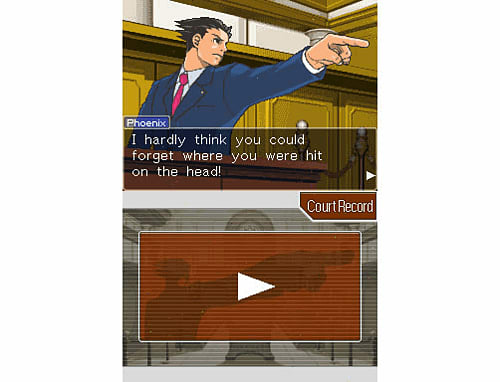 In Phoenix Wright: Ace Attorney - Trials and Tribulations, Phoenix will face the toughest prosecutor yet as the mysterious hard-boiled “Godot” will try to take him down at any cost. 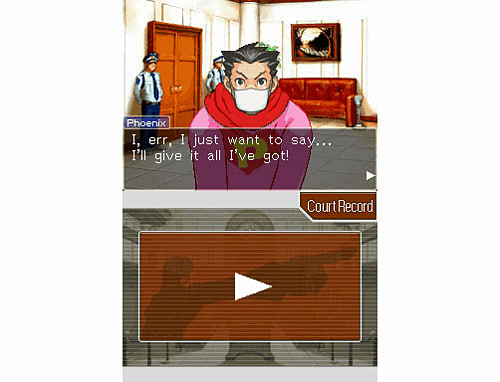 Phoenix Wright: Ace Attorney - Trials and Tribulations players must collect evidence, survey crime scenes, weed through inconsistent testimonies, and overcome corrupt agendas to ensure that justice prevails. 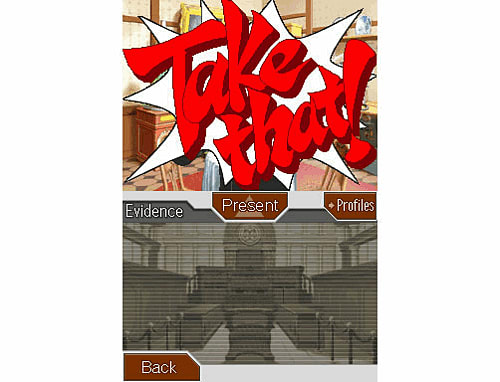 With the return of the popular “psyche-lock” interrogation tool from the previous title, Phoenix Wright: Ace Attorney Justice for All, Phoenix Wright: Ace Attorney - Trials and Tribulations players will have to overcome even more intense courtroom standoffs in order to close the case. Play from the first person perspective: Phoenix Wright: Ace Attorney - Trials and Tribulations boasts five intriguing new cases. 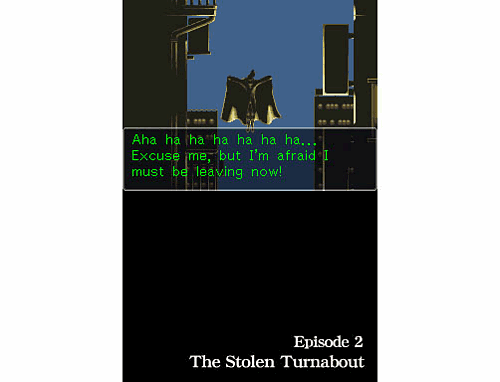 Phoenix Wright – The main character in Phoenix Wright: Ace Attorney - Trials and Tribulations is an accomplished defense lawyer with a keen sense for discerning fact from fiction. 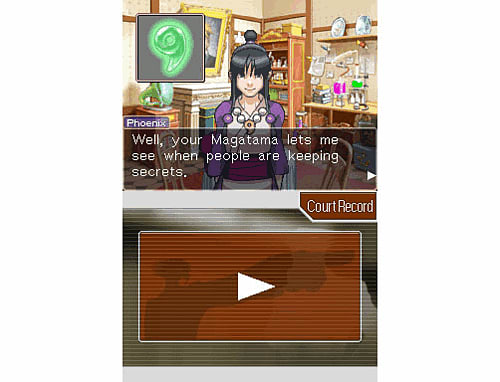 Maya Fey – A bright young girl that aids Phoenix in his trials; she harnesses her psychic powers which are useful in a pinch. Mia Fey – An ace attorney who taught Phoenix everything she knows about the courtroom and continues to support him in Phoenix Wright: Ace Attorney - Trials and Tribulations. 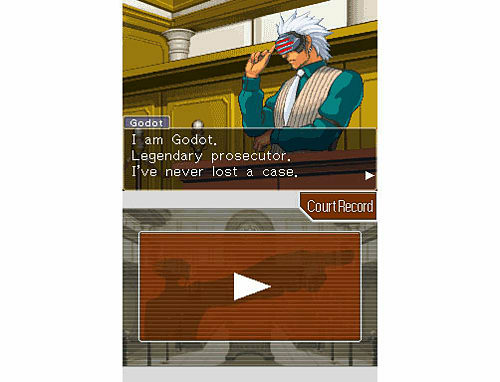 Godot – The mysterious, hard-boiled prosecutor makes his first appearance in Phoenix Wright: Ace Attorney - Trials and Tribulations. 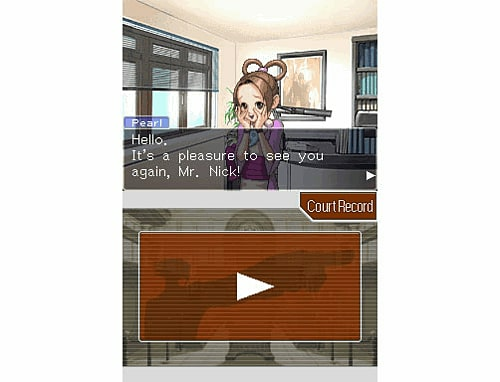 Play as two lawyers: Phoenix Wright: Ace Attorney - Trials and Tribulations lets you relive Mia’s rookie days from the past and Phoenix’s current cases in the present. 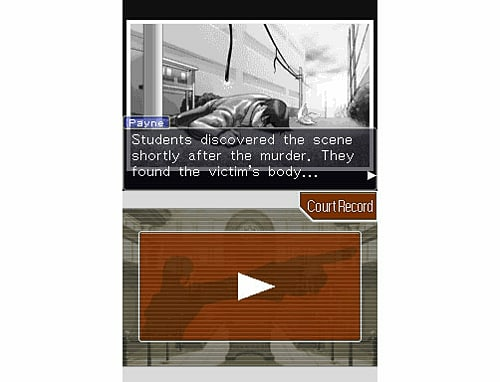 Investigation phase – Survey Phoenix Wright: Ace Attorney - Trials and Tribulations' crime scenes, interview witnesses and gather evidence that will be used in court. 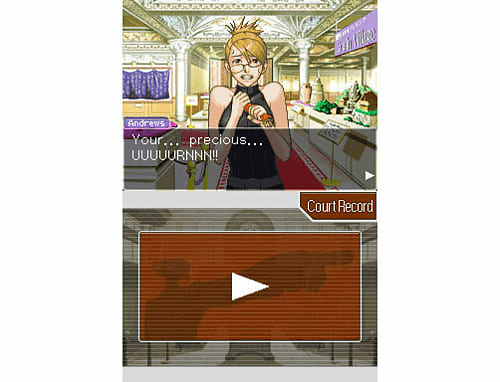 Court phase – Present findings from your Phoenix Wright: Ace Attorney - Trials and Tribulations investigations to support your case, listen to testimonies and examine witnesses. 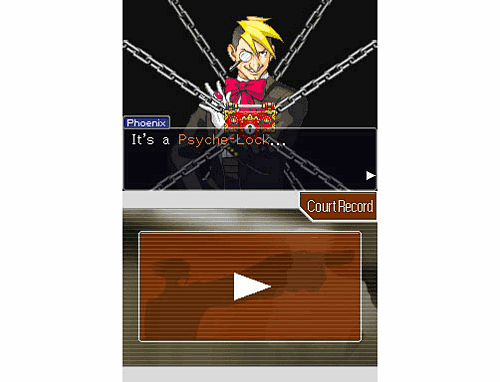 “Psyche-Lock” system: In Phoenix Wright: Ace Attorney - Trials and Tribulations you'll be breaking down tough witnesses with a series of correct questions or catching them on inconsistencies. 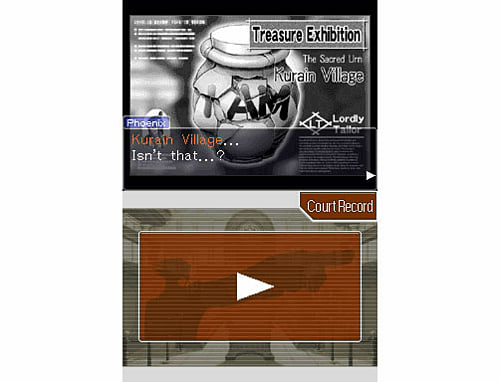 Touch screen interface: Stylus control progresses players through Phoenix Wright: Ace Attorney - Trials and Tribulations. 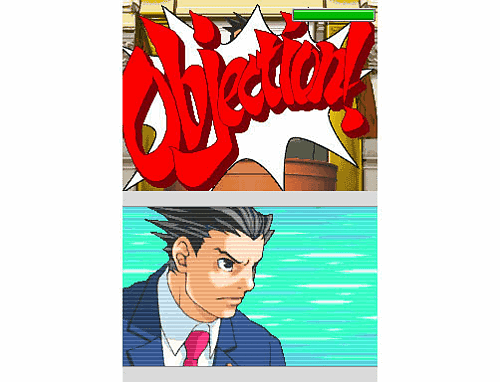 Microphone: In Phoenix Wright: Ace Attorney - Trials and Tribulations, the DS mic can be used to yell “Objection!” and “Hold it!” as you cross examine witnesses.